Reach SEJ members: press releases, mailing labels, ad packages. 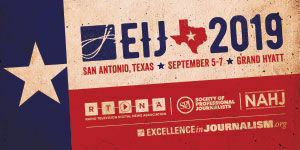 Members-area: includes updates about the annual conference, board elections and FAQs, member benefits, organizational strategies, and other news from SEJ HQ, as well as upcoming and past board meetings, listserv sign-up information and archives, member directory, and more. EJToday: Top Headlines: SEJ's selection of new and outstanding stories on environmental topics in print and on the air, updated every weekday. 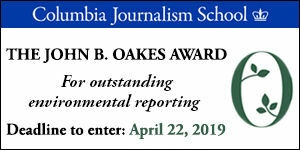 Awards & Fellowships: SEJ's Annual Awards for Reporting on the Environment, plus non-SEJ awards, workshops and fellowships. Climate Change Guide: to the information and disinformation, including basic science, the major players, expert rolodex, regional resources, IPCC and more. Diverse Perspectives: in support of SEJ's commitment to support diversity in environmental journalism, you'll find news, views, opportunities and more. Freedom of Information: biweekly news and tools on access to environmental information; SEJ Freedom of Information Task Force; positions taken by SEJ advocating access to environmental information; FOIA fundamentals and online resources. 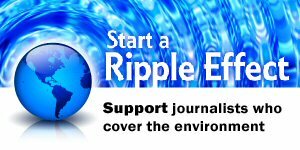 Fund for Environmental Journalism: SEJ's fund to help underwrite environmental reporting projects and entrepreneurial ventures. Mentor Program: we pair veteran environmental reporters with newcomers to the beat, or with less experienced reporters who want to improve their skills (available for members only). 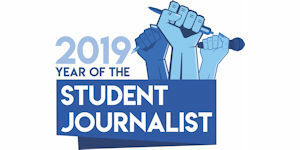 Young Journalists in the News: see what today's young journalists are accomplishing and view opportunities, such as awards, fellowships, workshops, member spotlights, and more. SEJournal Online: SEJ's weekly digital news magazine, including TipSheet, WatchDog TipSheet and much more. For advertising information and rates, or to advertise your recent book in the new digital SEJournal (special rate for SEJ members), email sej@sej.org. Guide to Diversity in Environmental Reporting: published by SEJ for journalists who want to address diversity concerns and practice more inclusive journalism. The Daily Glob: Coverage and resources for tracking the ongoing story of the May 2010 Gulf oil spill. Blogs and More: SEJ members' own blogs and websites, plus archives of non-member websites. Books: our members' own volumes and their suggestions for resource books you should consult, as well as environmental fiction they've enjoyed reading. Featured Journalists: the diverse endeavors of our members and other journalists, including spotlight on members, members' blogs and websites, Fund for Environmental Journalism grantees, plus more to come. Freelance: resources for the growing freelance segment of SEJ's membership. Freelance Task Force. Freelance Journalists Directory: Freelancers for hire from the SEJ membership. 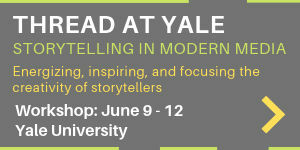 Industry Trends: current trends in the news media industry — and how they affect the future of environmental journalism. SEJ Canada: resources are useful for journalists covering Canadian environmental issues, as well as for those covering trans-border issues. SEJ Español: links to SEJ's Spanish-language web pages and English-language Spanish resources. Source Lists: contact information for several US federal agencies. Teaching Tools: resources for university-level teachers and students of environmental journalism. Useful Links: for your reference and research.